Despite the threads of causality woven together as if on some malignant loom that brought about his election — the cult of reality-show celebrity, the FBI director’s last-minute campaign intervention, Russian mischief, Hillary Clinton’s vulnerability to self-defeat and misogyny, electoral college anomalies, Republican party nihilism, and a wickedly disenchanted public — the ease with which such a figure took control of the levers of power in this country should still stun us. Some deep sickness of the soul had already played havoc with our democracy’s immune system or he wouldn’t have been imaginable. Think of him as a symptom, not the disease. After Trump finally leaves the Oval Office, we’ll still be a stricken people and the world will still be groaning under the weight of the wreckage this country has brought about. How, then, did we actually get here? It might be worth a momentary glance back. But in every phrase the president would speak in those weeks — “this is war… with us or against us… dead or alive” — he chose to take this country on quite a different path into the future. At the time of Bush’s cavalier use of crusade, I was one of the few here to take offense and say so. I feared even then that stumbling into sectarian strife, into — in the argot of the day — a “clash of civilizations,” could set in motion, as the original Crusades had, a dynamic that would far outrun anyone’s intentions, loosing forces that could destroy the very principles in whose name that “war of choice” was declared. 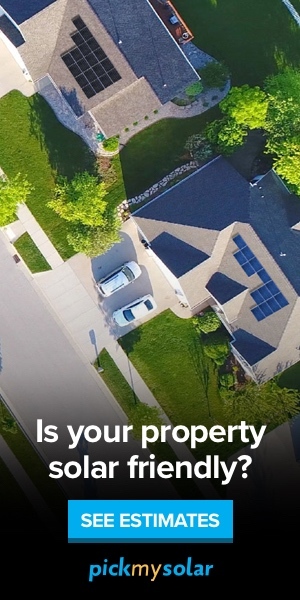 Little did I know how far short of an accurate damage assessment my thoughts would fall. The actual Crusades were a multi-phased series of wars waged in the name of God. They began in 1096 and continued intermittently for almost two centuries until 1291. By the time the Crusading era drew to a close, moral values had been trashed; a nascent structure of capitalism had infused the new economy of Europe with greed; a dark inclination toward mass violence was seething in European consciousness; and the militarization of religion was taken for granted. The mayhem of modernity followed. The Crusades themselves began with an urge to take back the holy city of Jerusalem from the Saracen infidel. As Western civilization jelled in the crusading centuries, Europe became fixed on Islam as its existential negative-other. This fixation — what scholar Edward Said called “Orientalism” — still undergirds the identity of the West, which is why an anti-Muslim war, fueled by anti-Muslim prejudice, turns out to fit the American Century like a mailed fist in a velvet glove. As Said suggested, European Christian contempt for the “Orientals” of the Levant soon leached into other God-sanctioned projects, especially once the age of the Crusades had given way to the age of exploration. Recall Christopher Columbus’s three crossed-marked caravels, the Niña, the Pinta, and the Santa María, as they set out from Spain for the New World, soon enough to be followed by the wooden vessels of other European powers. It didn’t take long before native peoples globally began to fall victim, often genocidally so, to gun-toting European adventurers and slave traders who had learned to think of themselves as “white.” Though Donald Trump has no more idea of such roots of contempt for the Muslim world than George Bush did, he has successfully lifted the relit torch of race hatred yet higher. The Crusades were an exercise in apocalyptic millennialism, a hot current that also runs just below the surface of twenty-first-century American martial ardor. Is it only an accident that the first Crusade and Bush’s were both keyed to the turning of a millennium? After the year 1000, a Biblical mythology attached to Jerusalem fueled frenzied End Time expectations that culminated in the never-ending war for that city and a European obsession with it ever since. The first purpose of the primordial Holy War of that era was Jerusalem’s rescue from the Muslim infidel; no one should be surprised that, 11 centuries later, the establishment of an American embassy there remains a flashpoint for the anti-Muslim crusade of the present moment. More generally, the excesses of the American reaction to 9/11 had an edge of millennial dread from the beginning. The endlessly replayed footage of the collapsing World Trade Center towers had the look and feel of an atomic attack on America (hence the almost instant labeling of the site as “Ground Zero,” a term previously reserved for nuclear explosions). Those scenes plucked unconscious chords strung deep in the American psyche, ones the president promptly played on. A few days after 9/11, he went before Congress to declare that “God is not neutral” and so claimed for his administration the mantle of being God’s purifying agent. Almost a year later, before a throng of West Point cadets, he was still at it, insisting that “we are in a conflict between good and evil and America will call evil by its name.” In such a conflict, of course, outcomes are no longer to be measured by real consequences in the lives of actual human beings, but by the transcendent will of God (or, in his stead, the “sole superpower” of planet Earth) to whom actual human beings can naturally be sacrificed. “For much of the last century,” Bush declared in his Crusader-style West Point address, “America’s defense relied on Cold War doctrines of deterrence and containment… But new threats also require new thinking.” A hard-won twentieth-century assumption that Washington must, in the end, take the path of the lesser evil had, by then, already been summarily replaced by a determination to simply obliterate evil altogether. Deterrence and containment had saved the human species from nuclear apocalypse, but for the country’s new apocalyptic encounter with “terrorism” such modes were obviously insufficiently absolute. And when a nation’s purpose becomes the cosmic destruction of evil, anything goes — as it has in the American Crusade. Hence the jettisoning of the Geneva Accords, the embrace of torture, the obliteration of prisoners’ rights, the abuses that live on in the unchecked intrusions of government surveillance, or in what Americans are too polite to call the concentration camp at Guantánamo that Donald Trump so devoutly desires to keepopen and running. The Crusading appetite for enemies is insatiable, which is why, in the Middle Ages, the war against Islam morphed so seamlessly into wars against, first, the Rhineland Jews in Europe’s early pogroms; then, Eastern Orthodox believers whose cities, including Constantinople, were besieged and sacked; and finally, Catholic dissenters (think “heretics”) like the Albigensians and Cathars who were brutally eliminated. In America’s version of such enemy-creep, the war against the al-Qaeda network quickly morphed into a “war” against terror groups in more than 60 nations, starting with Afghanistan and the Taliban, and within a year and a half Saddam Hussein’s Iraq, a country and regime utterly unrelated to al-Qaeda. From there, it was on to Pakistan, Somalia, Libya, Syria, Yemen, Niger, the Philippines, and parts as yet unknown. When George W. Bush delivered his State of the Union address four months after 9/11, he redefined America’s main enemies as — again that word — an “axis of evil,” consisting of Iran, Iraq, and North Korea. By then, it already mattered not at all that Shiite Iran had nothing to do with the Sunni sect led by Osama bin Laden; that Saddam Hussein had nothing to do with 9/11; and that North Korea had not the remotest connection to the September crisis that so traumatized the United States. Once named in this way, the leaders of Iran and North Korea, now knowing that, in American eyes, they were the fonts of (almost) all evil, could, of course, be expected to take immediate measures to brace themselves against future American aggression — and so they did with nuclear programs that still are at the heart of the aggressively militarized policies being pushed by Donald Trump and his generals today (and with a future war in either of those countries a distinct possibility). However, the most salient echo of the medieval Crusades in contemporary U.S. military campaigns comes under the heading of failure. For all the romance associated with the knights-in-shining-armor of that era, their God-willed liberation of the Holy City in 1099 did not survive the Muslim reconquest of 1187, a Christian defeat that would make the English king, Richard the Lionheart, a mythic figure, and guarantee Jerusalem’s place in the lost-cause fantasies of Europe forever after. (It was a defeat that would not be avenged until 1917, when Field Marshal Edmund Allenby finally reclaimed Jerusalem for Christians, with catastrophic consequences for Jews and Muslims alike.) America’s failures in the Middle East, despite Pentagon rhetoric about the U.S. military’s “full spectrum dominance,” have been no less obvious and no less total on a planet that can no longer tolerate decades, no less centuries, of war. George W. Bush’s 2003 invasion of Iraq remains a marker of virtue (and vice) in contemporary American politics. Those few legislators who were against the invasion still wear their votes of opposition as badges of honor, while those in favor were permanently shamed. (And think of how that played out in the 2016 presidential campaign.) But that’s far too convenient a way to replay our recent history. In fact, the die had already been cast long before that vote, which meant that the invasion of Iraq followed the invasion of Afghanistan as inevitably as wakes follow warships. After all, Operation Enduring Freedom, supposedly meant to target Osama bin Laden’s al-Qaeda network of a few hundred fighters, began with a massive bombing campaign across large parts of Afghanistan. The blind faith of the U.S. Air Force in the long-discredited tactic of “strategic” bombing would be touching if it didn’t involve such a blindness to its effects on human bodies — and almost 17 years later, American bombers, including the latest drones and Vietnam-era B-52s, are still dropping fire on Afghani flesh as that war goes from bad to worse. The Afghan campaign, which quite literally ignited the war on terror, was officially launched on October 7, 2001. But who remembers that everything to come — from that Afghan invasion to the deaths late last year of four U.S. Green Berets in Niger — had already been enthusiastically licensed three weeks earlier when George W. Bush stepped to that cross-shadowed pulpit of the National Cathedral to berate evil. Only hours before, the Joint Congressional Resolution on the Use of Force (“The President is authorized to use all necessary and appropriate force against those nations, organizations, or persons he determines planned, authorized, committed, or aided the terrorist attacks that occurred on September 11, 2001, or harbored such organizations or persons…”) passed the Senate 98 to 0 and the House of Representatives 420 to 1. Those are the numbers that should live on in history, if not infamy. As they were, as they still are. Lest one assume that responsibility for the catastrophe that followed rests solely upon Bush and his hawkish circle, remember that the administration’s responses were approved by 90% of the American public, the highest presidential approval rating ever achieved, while a full 80% of them expressly favored Bush’s open-ended war against Afghanistan. That war would eventually let loose mayhem across a dozen other nations (and it’s still spreading), leaving millions of dead, disfigured, displaced human beings in its wake. Most Americans and nearly all of their congressional representatives were complicit in what remains an unfinished global moral, economic, and political calamity that far exceeds anything the grotesque Donald Trump has so far brought about. He may yet start a nuclear war and has already undoubtedly sparked what could become a cascade of nuclear proliferation, yet for now the malign legacy of the 43rd President — that American crusade — exceeds anything the 45th one has yet imagined. And no, God does not will it. 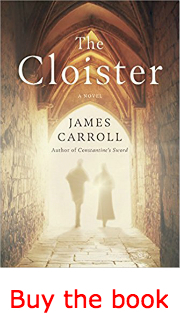 James Carroll, TomDispatch regular and former Boston Globe columnist, is the author of 20 books, including the new novel The Cloister (Doubleday). His history of the Pentagon, House of War, won the PEN-Galbraith Award. His memoir, An American Requiem, won the National Book Award. He is a Fellow of the American Academy of Arts and Sciences. He lives in Boston with his wife, the writer Alexandra Marshall.